My name is Michelle, I live in Christchurch, New Zealand. I'm 20 years old. 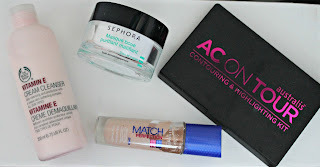 I'm all very new to blogging, but I thought I might as well give it a try, I'm a makeup and beauty fan, so decided to share some things I buy and things I enjoy! You can follow me on Instagram - click here!